When You are on my side, Almighty, what do I need to worry about? You entrusted everything to me, when I became Your devotee. My wealth has become inexhaustible, no matter how much I spend and consume. 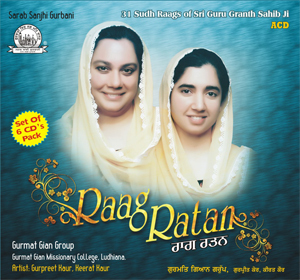 This entry was posted in Shabad Kirtan and tagged Gurmat Gian Group, Gurmat Sangeet, Gurpreet Kaur, Jaa Tu Maerai Val Hai, Keerat Kaur, Sikh Music. Bookmark the permalink. 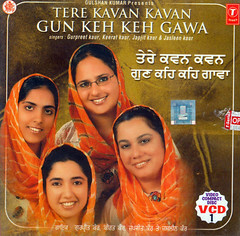 There are several breaks in the sound track which adversely affect the otherwise very well rendered Shabad. Thanks. I just checked both the video and audio players. They are working fine. It could be that your internet connection may be slow. You may try to buffer the video or hear the audio player. Thanks for being here. Waheguru ji, it is really slow even at reasonable internet speed. It will be good if we can compromise a bit with the quality to get better speed. I agree there would be interruptions during the viewing of the video especially in India where the internet broadband is slow as compared to western countries. In such situations its better to hear thru Audio Player. Another way out is to start the video and then press the stop. This would let buffering of the video and after half of the video is buffered one can start the video again. Well, your suggestion of compromising in video quality is a way out. I have tried that and found that the video quality needs to be brought down to 1/3 th of this. Still its good suggestion and I’ll keep that in mind. Thanks and keep giving the feedback so that we can adjust to a desired level of video quality. There is another thing I would like to add is that there is an option in the youtube video players to view the video at various video quality levels. Those with slow internet speeds should preferably view at lowest level like at 360p or even lower. LOVE OF GURBANI . KHALSA panth should feel proud of such blessed souls . LIFE OF flower of KAMAL . HUMANITY of the globe that OUR FATHER , GURU GOBIND SINGH JI MAHARAJ , is THE SUPER POWER HOUSE OF LOVE . personalities enjoying the innovative powers of LOVING OUR GURU GRANTH SAHIB JI MAHARAJ. 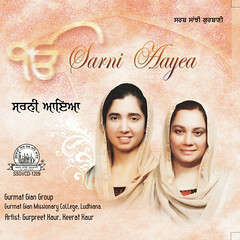 Thank you for for giving us such a beautiful shabad sung by Gurpreet ji. the Shabad is explained, it helps me to understand the meanings of Guru’s Shabads. My thanks to all of you who composed this Shabad. Thanks Kartar Singh ji for your visit to this Blog. 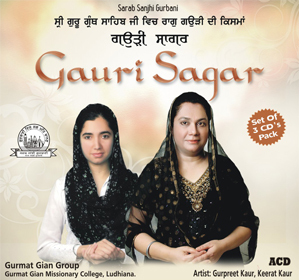 Do keep visiting to enjoy Gurbani and give your valuable suggestions. 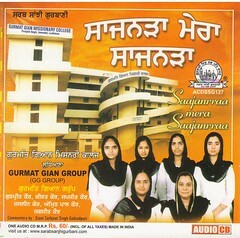 gursikhnis and always gives peace of mind to listen. Please keep on & on waheguruji bless you all/charhdikala. What about my previousely requested shabad” POOTA MAATA KI ASIS”,please let me know when ready to release. many2 thanks to all of you & parivars. 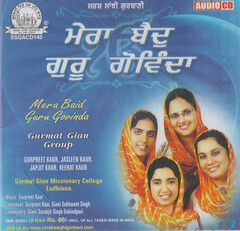 By the Grace of waheguru, we have recorded this Shabad ‘Poota Maata Kee Aasees’ hope to post this Shabad after sometime. Thanks for your appreciation. Manav Singh ji, thanks for visiting and for liking our work. very good job ur doing, keep doing the good work god may bless u. waheguru Ji Ka Khalsa Shri waheguru Ji ki fateh. Waheguru ji aap nu bhaag lave.